I work with senior managers helping them to become more emotionally intelligent leaders and in this series of articles will explore some of the themes that come up in this work. One of the areas that seems to challenge many managers is how to deal with the people-related aspects of their role. On further discussion it appears that what they really mean is they don’t feel comfortable with the emotions that come along with dealing with people. I can’t think of many aspects of business that don’t involve people and we are innately emotional beings. All leaders therefore need to learn how to understand and respond to emotions (their own and of others) to form effective relationships. Being able to recognise and understand emotions in yourself and others are key competencies of Emotional Intelligence (EI), along with the ability to regulate and manage your own emotional reactions. Leaders with higher levels of EI, who can read and relate to others, are seen as more understanding. Leaders who can see the impact their emotions have on others and can regulate how they react, can build more positive and productive relationships. Social – recognising and responding to the emotions of your customers, clients, employees etc. From the personal perspective it has been shown that being more connected to others in the workplace gives a greater sense of personal fulfilment. Having the ability to recognise and understand your own emotions and thoughts increases your flexibility. Leaders with higher levels of EI are likely to tolerate stress more effectively and be more resilient. They are also less likely to make impulsive decision based on unrecognised emotional triggers. I am sure we can all think of someone we have worked for who we would describe as volatile or unpredictable – with whom we feel we have to walk on egg shells. Social competence is important because people are involved in every aspect of what we make, buy, sell, supply and service. Taking time to get to know people, making small talk and moving beyond a simply transactional relationship really pays off. Many studies have shown that ‘people don’t leave jobs, they leave managers’. Being genuinely interested in and knowing your staff; what motivates them; what else is going on in their life that may be impacting their performance are all likely to create deeper relationships. This leads to trust and higher levels of commitment and employee engagement. 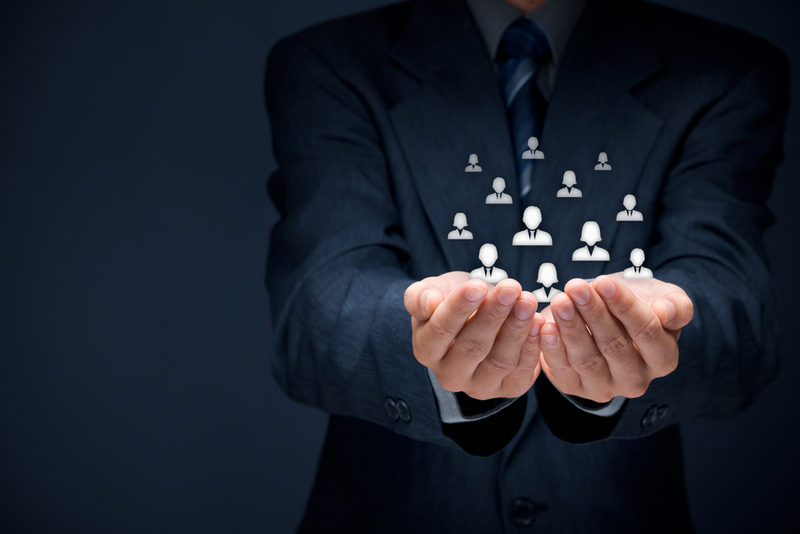 Beyond your organisation – customers only do business with people they like and trust. Finding ways to connect with customers at an emotional level is essential for a great customer experience, which will lead to repeat business and referrals. People can’t be avoided in any business. Even if you don’t directly manage people we all have to interact with peers, partners, customers… and all the emotional reactions that generates. Successful leaders recognise this and develop the emotional intelligence skills necessary to be able to harness this emotional information to their benefit rather than being high jacked by it.